SmuttyCat loves the Age of the Geek, especially Girl Geeks. This Christmas movie season brings us Hidden Figures, the till now untold story of the women who made the moon landing possible. There are not enough words to describe the beautiful, nuanced and uplifting performances by Taraji P. Henson, Octavia Spencer & Janelle Monáe. And let’s not forget one of SmuttyCat’s favorite geeks, Jim Parsons from The Big Bang Theory. Hidden Figures is a movie of triumph for gender, class, race and all cultures. It is a beautiful moment when America remembered that we are all for one and one for all. And that working together achieved the impossible. 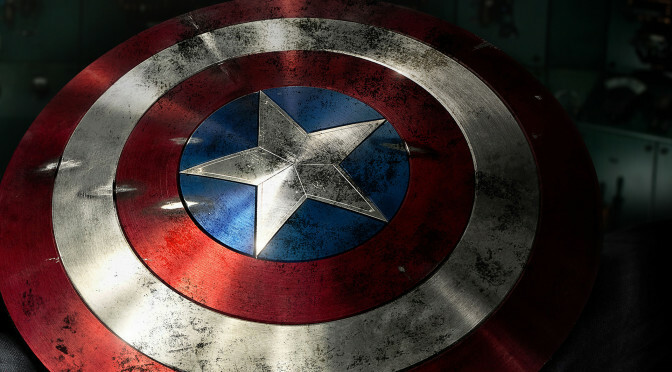 And most importantly, it is inspiration for every girl geek wondering if she should follow her tech dreams. The answer in Hidden Figures is a resounding ‘yes’. Hidden Figures lands in theaters on January 6, 2017. 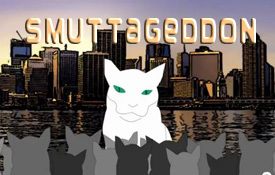 Start the New Year with fun and let SmuttyCat know if you loved this movie. One of SmuttyCat’s few appawed canine pals is making his 3D debut today. 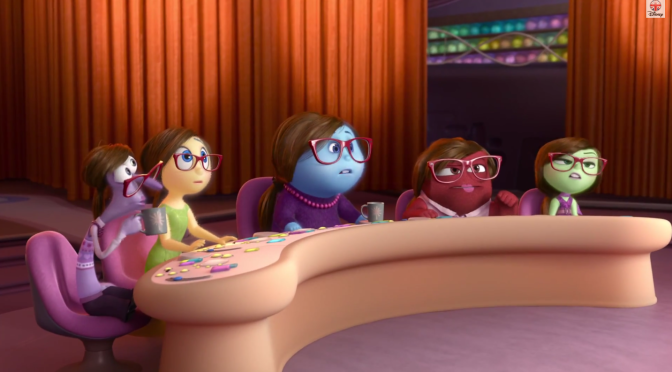 Peanuts gets re-imagined in a more robust 3D world and everyone is excited. It has been some time since we got to look at the Peanuts gang antics, and the new format makes them even more fun to follow along. So, grab the kittens, kiddies and other small ones to give yourself an excuse to get out to the movies for this great adventure. After all, it is football season and we must see if Lucy will finally hold that ball for Charlie Brown. SmuttyCat has his ticket, do you? 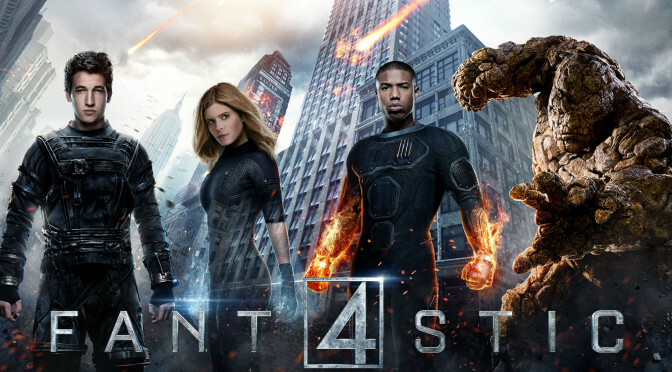 This is what the Fantastic Four should have been. Fun, adventure and great effects. The addition of the Marvel team to Fox and friends ramps up the fun factor by 200 with great results. Unexpected casting, a twist on the origin story (from Ultimate Fantastic Four) and effects that come straight from the Disney/Marvel toolbox deliver a movie to look forward to. Now, SmuttyCat is not saying this is the next Avengers: AOU, but the FF reboot is clearly a summer fun romp. Action, effects and Dr. Doom, what more could you want? Check out the trailer and get ready to spend August 7, 2015 inside your local theater. Everyone knows SmuttyCat is lazy, but he just had to take a break from catching up on the season finales of his most favorite shows to blog on an outlandish discovery. The story is that humans value chimps over people and their own community. SmuttyCat’s partner sites DKemp Designs and Infinity Run Media started a community initiative a short while ago. It’s called CoffeeChange.org based on the philosophy that the small change spent on coffee by many people once a month, can create lasting local and global change. Sounds good, right? Throw a couple of bucks in a virtual bucket once a month and viola! One new business starts or the next genius gets the education needed to cure cancer or end world hunger. What a simple concept. But SmuttyCat just found out that in 4 days, over $72,000 was raised for abandoned chimps and yet in 2 weeks only $12 has been raised to help a single mom get a stable space to raise her daughter and grow her small business. Now, the backstory is this is a young lady who went to college, got a job, got married, had a child and then went through a divorce while a stay at home mom starting a business. She found herself homeless and unemployed, but managed in less than one year, to buy a car, get a job and an apartment. But the apartment is small and has no yard so there is no way to grow the business. This enterprising person in our community is trying to buy a modest home but has had no time or extra income to save for a down payment or the appliances that will be needed. CoffeeChange.org is not about fixing all the world’s problems, they are not big enough. They are about leveraging small changes that ripple out through the globe. A $2 donation will not end world hunger or cure cancer. But it can stabilize a small business effort or educate the next genius. SmuttyCat refuses to believe that there are not 6,000 humans in the Metro Detroit area who won’t donate $2 toward this important project. No, you won’t get a fancy t-shirt (although you can e-mail CoffeeChange.org about buying one of theirs), but for a $2 to $5 dollar donation you can stop complaining and start building. 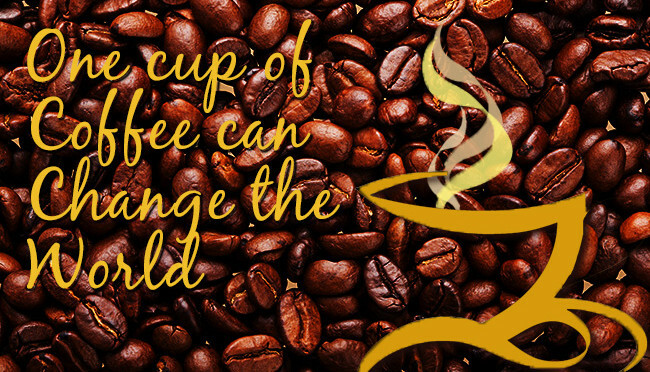 Spread the word: a cup of coffee can change the world. SmuttyCat is here to help you with a quick tip for perking up the weekday dinner. After all, what does the Supreme One love better than sleeping? Eating! Looking for that perfect side dish for a quick meal? Or how about some snacks for lunchtime? Also makes a great weekend family project. 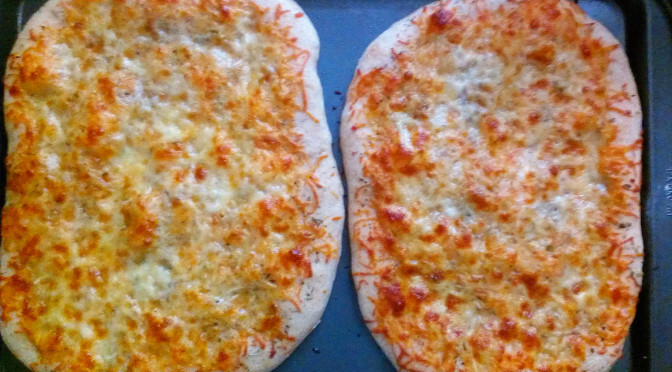 In less than one hour, you could have delicious, chewy, hot, cheesy bread made from scratch. And you probably have all the ingredients in the cabinet or fridge. If you have regular whole wheat flour, pulse it finer with a food processor or a Ninja Master Prep Pro. 2 cups unbleached flour, 1 cup whole wheat pastry flour, 1/2 tsp. sea salt, 1 tsp. sugar, 1-1/2 tsp. active dry yeast, 1/8 cup olive or canola oil, 2 Tbsp. italian seasonings, 2 Tbsp. garlic powder, 1/3 cup italian blend cheese. Warm water. Mix flour and sea salt together in large bowl and set aside. In small bowl mix sugar, yeast and 1/4 cup warm water (110 degrees or hot enough to be uncomfortable to touch, but not burn). Stir and set in warm area until it bubbles. Add yeast mixture to flour, stir and slowly add more warm water until dough is slightly sticky, but still firm. Remove from bowl, oil bowl and return dough flipping once to coat. Cover and let rise about 30 minutes (can rise longer if you are busy, but not longer than 1-1/2 hours). Sprinkle dough with flour and knead lightly (SmuttyCat just gives it 4 or 5 folds). Split in half. Spray cookie sheet with non-stick spray or sprinkle lightly with flour. Spread one half of dough out on half of pan, dough should be at least 1/2 inch thick for chewyness. Repeat with other half (or freeze for later). Brush dough with oil, sprinkle with garlic powder, sprinkle heavily with Italian seasonings, cover with cheese. Bake for 12-15 minutes at 350 degrees. Cool and cut into slices. Dipping sauce: 1/4 jar traditional spaghetti sauce, 1/2 tsp. garlic powder, 1/2 tsp. Italian seasoning. Mix together and warm for 30 seconds in microwave. Save some for SmuttyCat and enjoy!